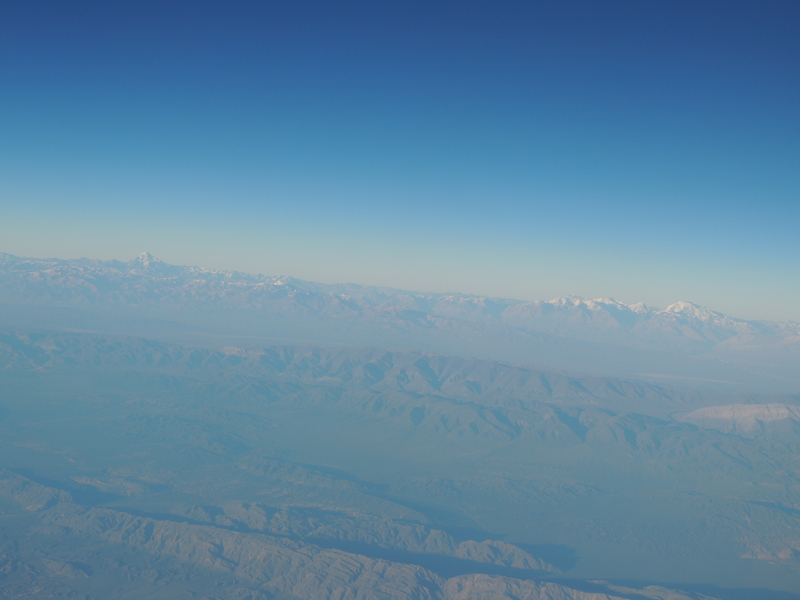 When I woke up this morning the plane was just crossing the Andes Mountains into Argentina. 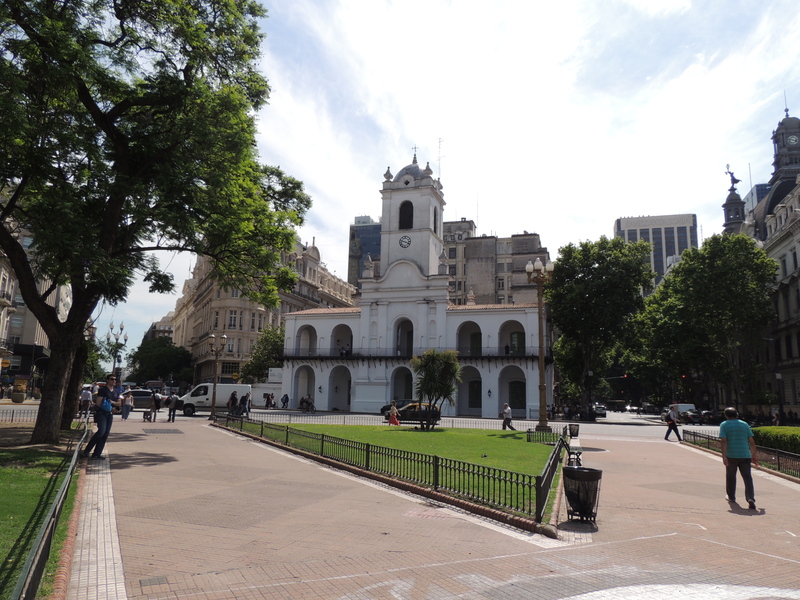 Upon landing in Buenos Aires, I met my group and hopped on a bus to our hotel. I was thrilled that a delicious brunch was waiting for me. 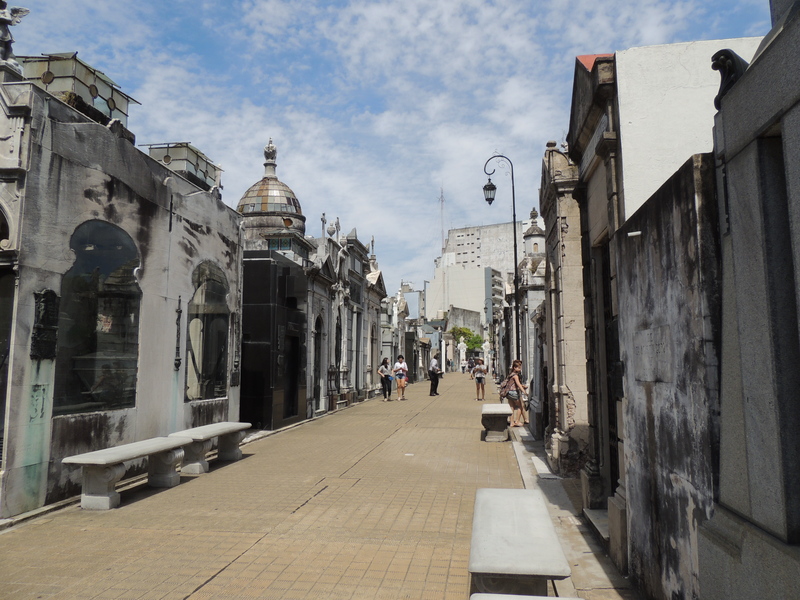 After a bit of a rest, we embarked on a whirlwind city tour of some of the must-see sights in Buenos Aires. 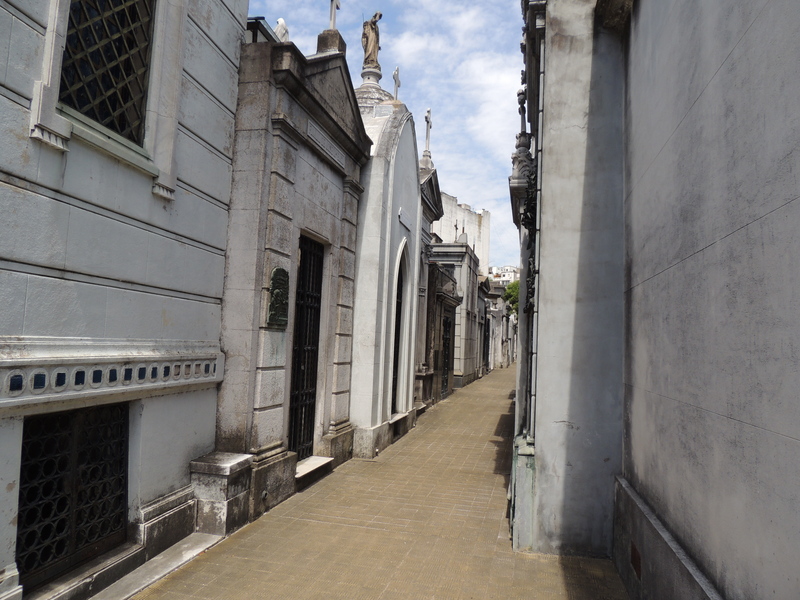 The tour began at the famous La Recoleta Cemetery. This is where the wealthiest Argentinians are buried and offers a grand show of the wealth and power Argentina once held. 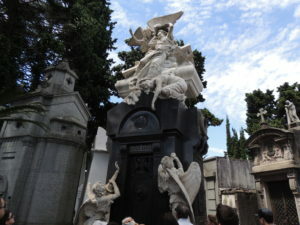 While some of the mausoleums are falling down in disrepair due to the high cost of maintaining them, others are prime examples of the opulence, extravagance, and European influence of 19th century Buenos Aires. Our next stop was the park adjacent to Casa Rosada, the famous “pink house” that serves as a government office. It is known for the famous balcony where President Juan Peron and wife Evita would regularly address the people. 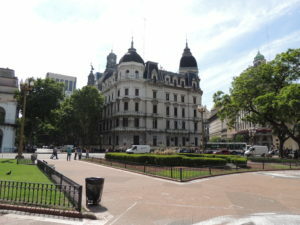 It is especially interesting to see the strong French and Spanish influences in the various buildings around the city. 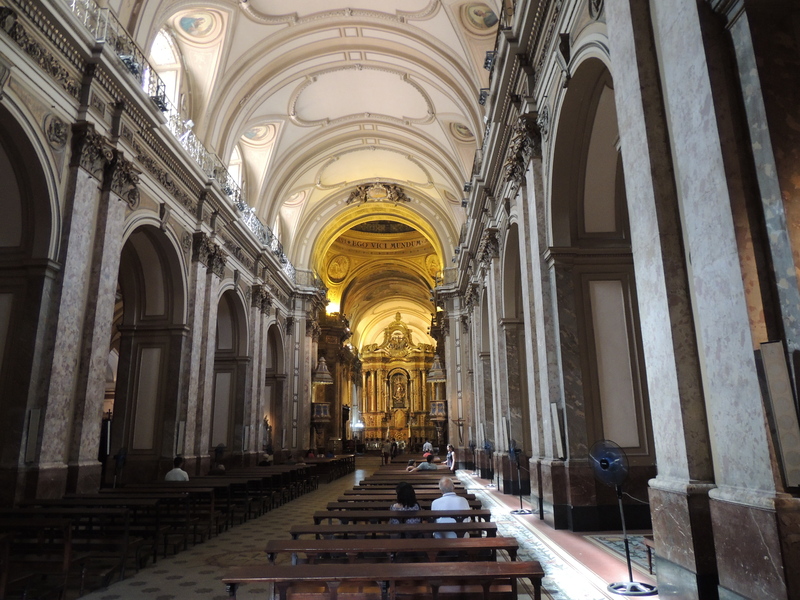 We also took a moment to visit the cathedral where Pope Francis served before assuming his role in Rome. 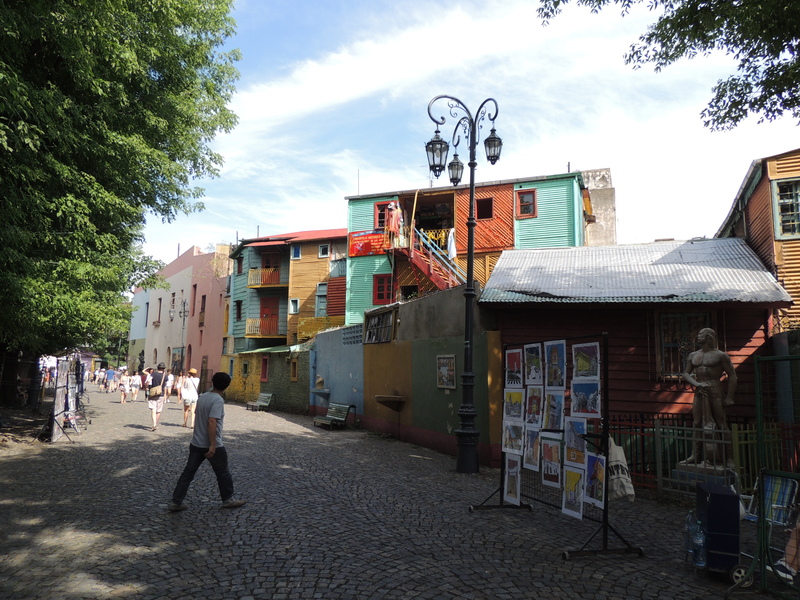 Finally, the tour took us to the eclectic La Boca neighborhood with its brightly painted houses, street market art and souvenir shops. It was a busy, bustling day and I am exhausted. Tomorrow morning we are all set for a 5:45 am wake up call to head to our flight to Ushuaia. This will likely be my last update for a while as the internet aboard the ship may not be robust enough to post regularly. Tomorrow I meet the Explorer and begin the journey across the Drake Passage. Wish us good weather and LOTS of animal encounters! I have just arrived in Dallas for a quick layover before boarding my LONG flight to Buenos Aires, Argentina. The trip is in full swing! As I mentioned earlier, I have a stack of student questions that will be joining me on my adventure. My goal is to answer as many of them as possible during the expedition; however, I can answer one of them right now. Several students asked if I would see any polar bears while in Antarctica and the answer is: No, not one. Polar bears live in the Arctic, which is in the Northern Hemisphere. There is a really interesting interactive map/activity (click here) that shows the migratory patterns of polar bears. 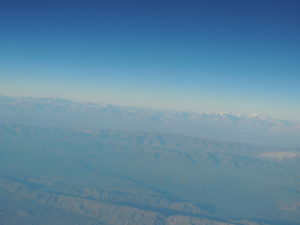 You will notice that all of their movement occurs at the “top” of the globe. 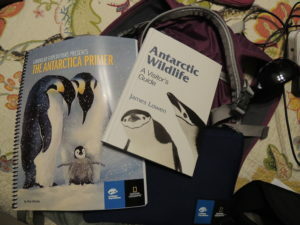 So, what kind of wildlife should I expect in Antarctica? The plan is to encounter penguins on multiple occasions. I expect to see a variety of birds both in Argentina, in route and around Antarctica. There should also be seals and if all of my hopes and dreams come true… whales. The expedition team includes experienced underwater photographers and divers so I hope to have the opportunity learn from them about life beneath the surface as well. Tonight I will be crossing the Equator for the first time, and venturing into the Southern Hemisphere. See you on the other side of the world! I am checked in and waiting to board the plane for my first flight and I am SO excited the adventure has officially begun! 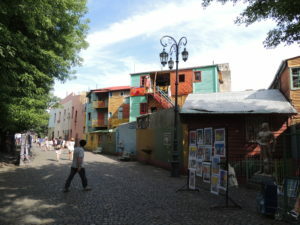 I will stop briefly in Dallas and then hop the LONG flight to Buenos Aires, Argentina. 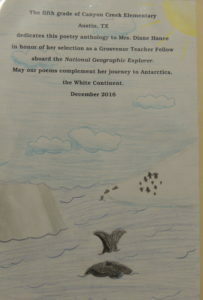 Several students asked how long it takes to get to Antarctica from Austin, and according to my itinerary it will take about three days: the Explorer is expected to reach Antarctica on Saturday, December 31 – what an awesome New Year’s treat! 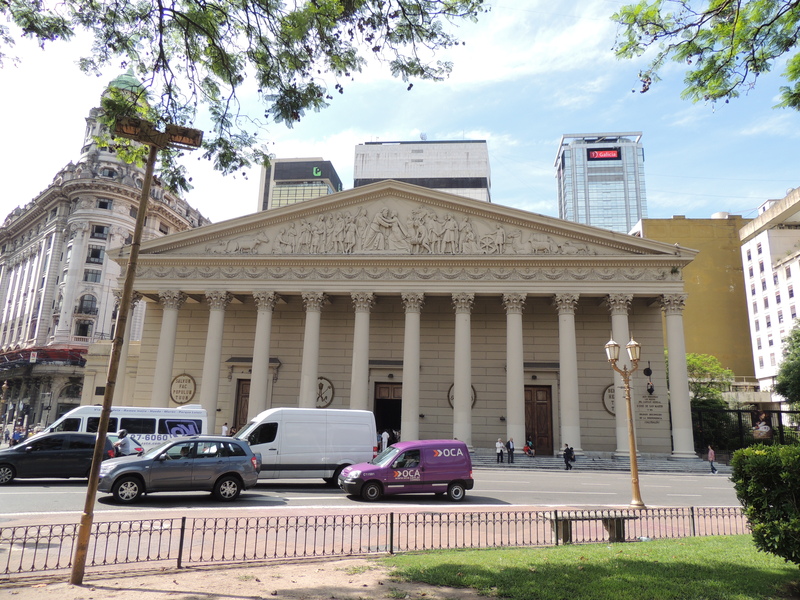 There are probably faster ways to reach the legendary White Continent, but we are going to take a little time to explore Buenos Aires tomorrow and then will fly over Patagonia to Ushuaia, Argentina (capital of Tierra del Fuego) where we will meet the Explorer on Thursday. As you all know, I am lost without a good book in my hands, so I am well prepared for the 10 hour and 24 minute flight from Dallas to Buenos Aires. 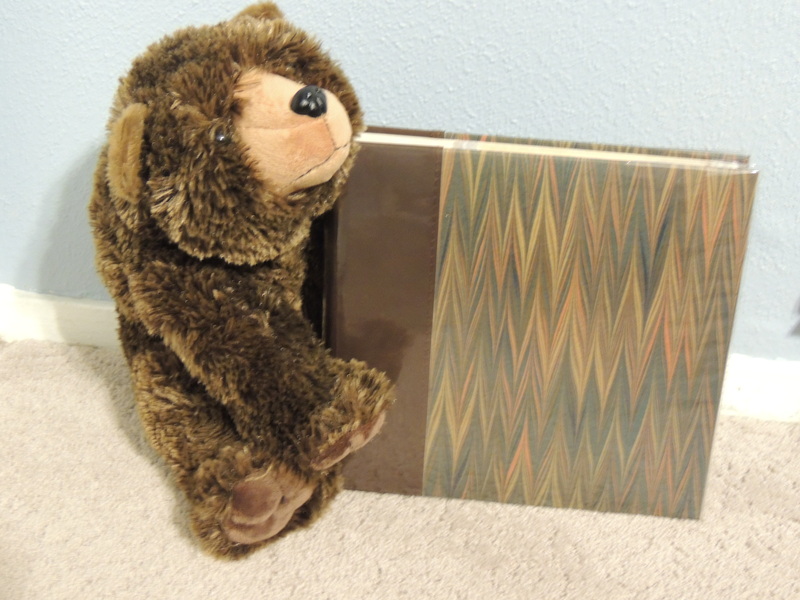 In addition to books to prepare me for my Antarctic adventure, my Kindle is loaded with a stack of new titles that may just be the next big thing in the Library. I am also finishing Lars-Eric Lindblad’s biography (1983), Passport to Anywhere: The Story of Lars-Eric Lindblad, who is considered the pioneer of adventure travel. The story begins with the exciting account of an Antarctic journey gone a bit awry, and then chronicles Lindblad’s life, both his successes and failures, as he paved the way for adventure minded tourists to visit some of the most remote and exquisite corners of the world. His enthusiasm for learning about the world by experiencing the world is contagious, and thanks to his book I now have a rather long “bucket list” of places to see and things to learn. If you are even remotely interested in travel, I highly recommend this title – you can even get an electronic copy for free on the Lindblad Expeditions website. Lars-Eric Lindblad’s son, Sven-Olaf Lindblad, is the reason I have the opportunity to have this tremendous experience (and am able to share it with all of you). He created the Grosvenor Teacher Fellowship to honor his friend and colleague Gilbert M. Grosvenor, Chairman Emeritus National Geographic Society and Education Foundation Board. Teachers and Librarians: There is still time to apply for a 2017 Grosvenor Teacher Fellowship. Applications close at 11:59 p.m. December 31, 2016. 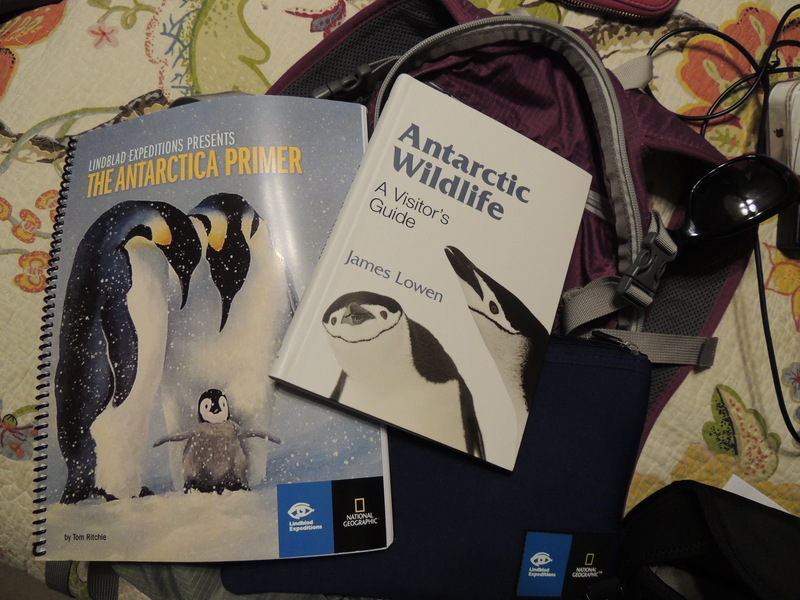 Tomorrow I am embarking on my adventure to Antarctica as a 2016 Grosvenor Teacher Fellow with Lindblad Expeditions and National Geographic aboard the National Geographic Explorer. My bag is packed and I am ready for this amazing experience of a lifetime. The journey actually began about three years ago when I first learned about the Grosvenor Teacher Fellowship. It is the pinnacle of self-directed teacher professional development, combining a love of learning with some of the world’s most exquisite destinations. Of course, I immediately made it my goal to earn a place on the prestigious fellowship roster. 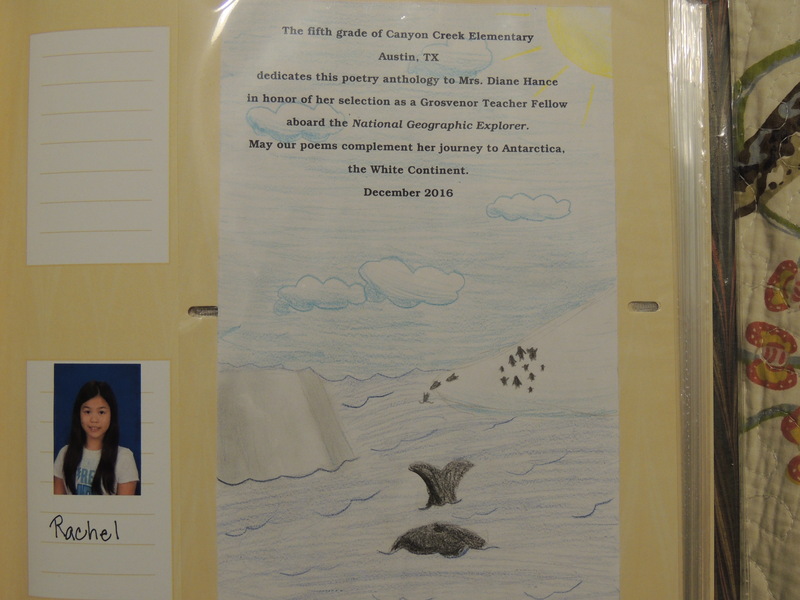 I wasn’t selected for the 2015 class of fellows, but in February of 2016, I received one of those phone calls that change your life: I was selected as a 2016 Grosvenor Teacher Fellow and would be traveling to Antarctica in December. Wow. 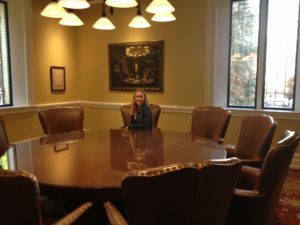 I was really a Grosvenor Teacher Fellow, but it didn’t feel real just yet. 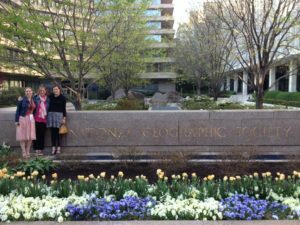 In April, all of the fellows meet in Washington D.C. at National Geographic Headquarters to learn about our responsibilities before, during and after the expedition. It is also an opportunity to meet our shipmates, collaborate about bringing the experience back to our schools and communities, and meet with the experienced team of naturalists who will be joining us on our journey. 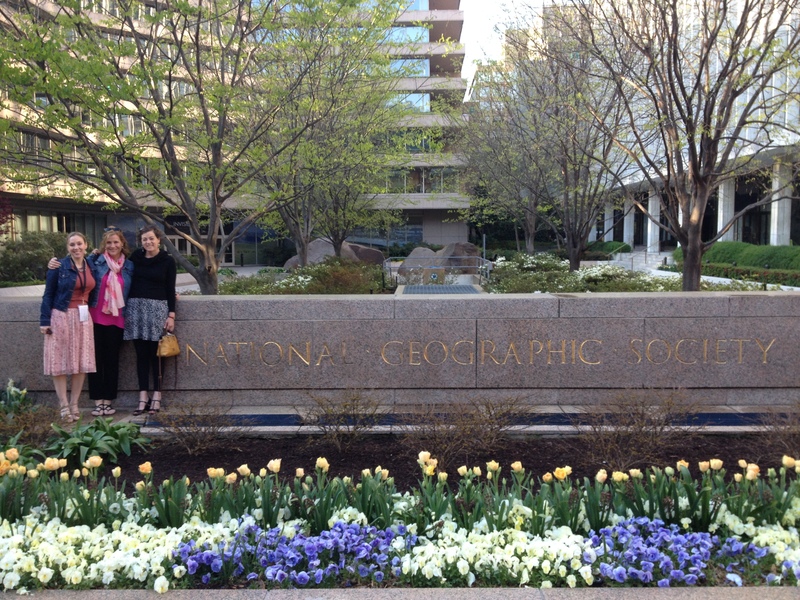 We were welcomed in the historic Hubbard Hall, first headquarters of the National Geographic Society. I met Jeanna (from Houston) and Sara (from California) who would be joining me in Antarctica and we became fast friends, ready to share the adventure. My two days in D.C. (which also included a quick jaunt to the National Mall and a quick wave at the White House) went by in a blur. I learned so much, and returned to my campus armed with information about creating virtual field trips, using my camera more effectively, and a wealth of engaging lesson plan ideas. Still, it didn’t feel real – Antarctica? Really? Since April, I have been reading and researching and planning. I scoured the stores for base layers and wool socks, and now have a healthy collection nestled comfortably in my travel bag. I have visited with teachers about ways to integrate my experience into their curriculum, and I have a stack of questions my students would like answered. My bags are packed. 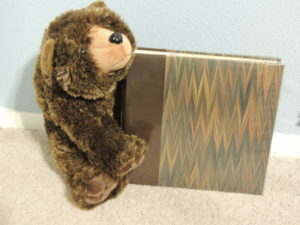 My grizzly bear mascot will be my travel buddy. I am even bringing along a book of poetry written by the 5th grade students who will be attending my school next year; an example of the amazing collaborative opportunities this experience provides. Tomorrow the adventure begins, and today, it finally feels real. I will be posting about my adventure as I am able. 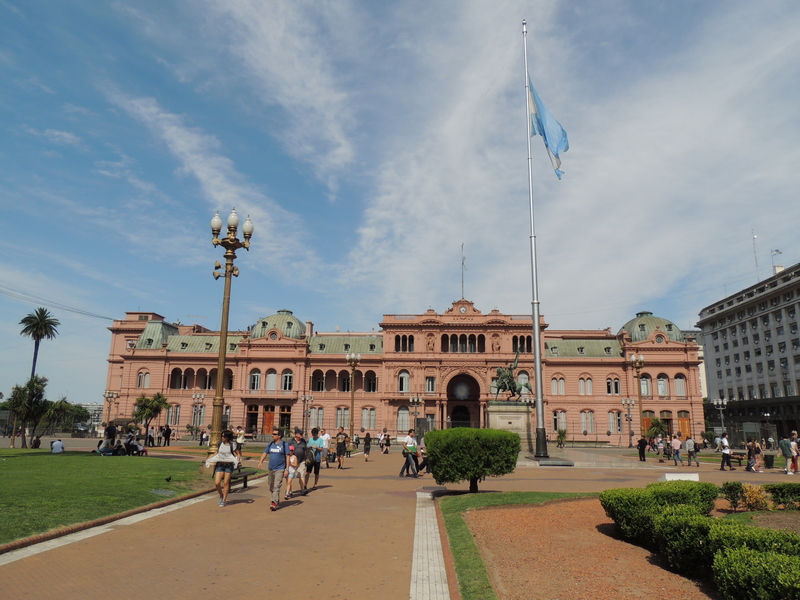 Follow the Daily Expedition Reports from the National Geographic Explorer here. Sometimes the most powerful lessons are learned in rather unexpected ways. As I prepared for my journey to Myanmar (Burma) in the summer of 2016, I did not know what to expect, but caught myself focusing on things like what I would eat and packing enough Deet laden insect repellent to arm myself against the tiny biting mosquito demons. I received a scholarship from the University of Texas South Asia Institute to travel with GEEO Tours on a two week tour of Myanmar. 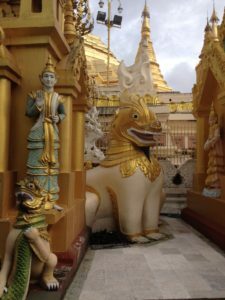 Having never traveled beyond the Western world, I was eager to learn about Buddhist custom and the art and architecture associated with religion and ritual in Myanmar. 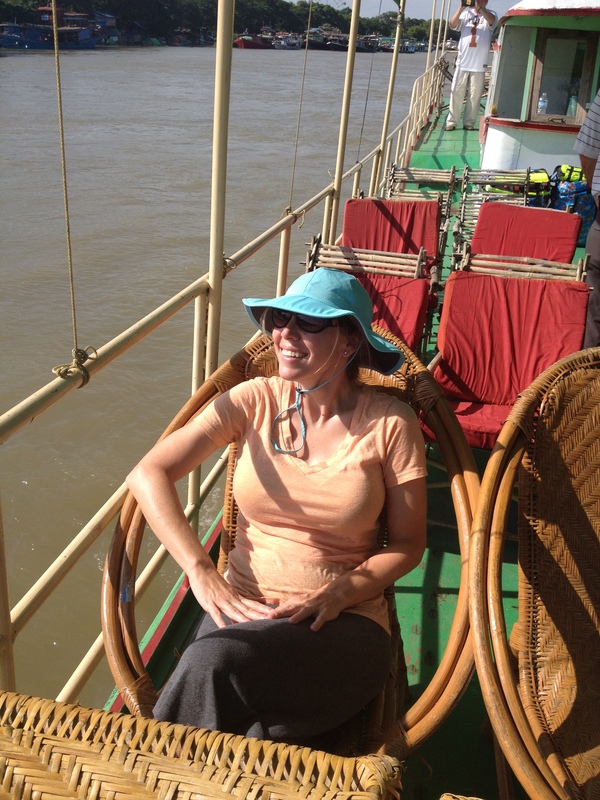 Of course, I experienced all of these things (and so much more), but the one I will never forget relates to the generosity and unbreakable spirit of the Burmese people. 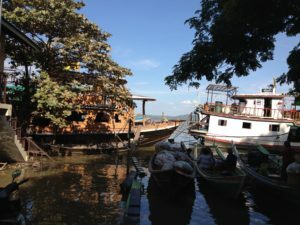 We were just returning to the city of Mandalay after an evening boat excursion on the Ayeyarwady River (Irrawaddy River). It was early evening and most of us were hot and hungry. We spent the day touring the regional pagodas, exploring Burmese food and culture, and learning about how the rainy season particularly affects the lifestyle of the region, particularly those who farm rice or live along the river bank. Many of these people were living in somewhat temporary housing along the new river’s edge since their regular homes and businesses were underwater. During the outing, our boat skipped past thatched rooftops peeking out of the muddy brown water. 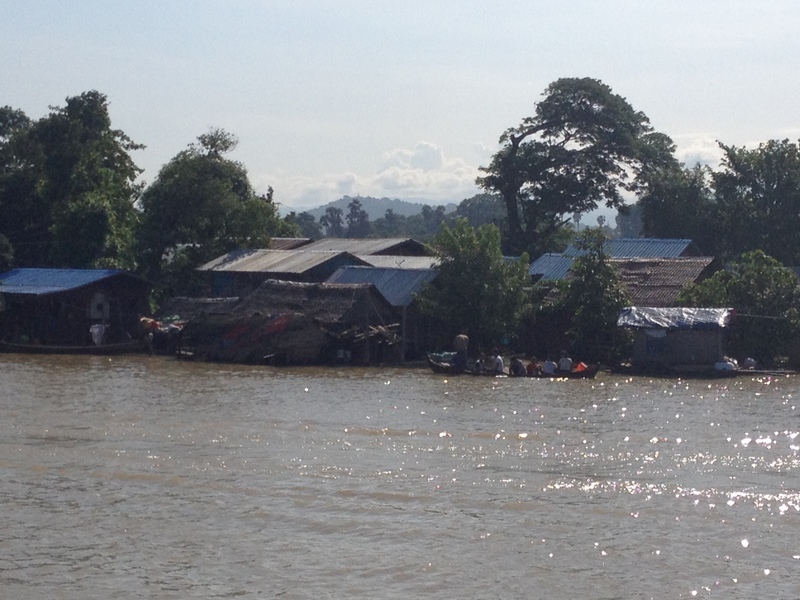 Some families used boats to access their flooded homes, though most were submerged beyond the point of reasonable entry. 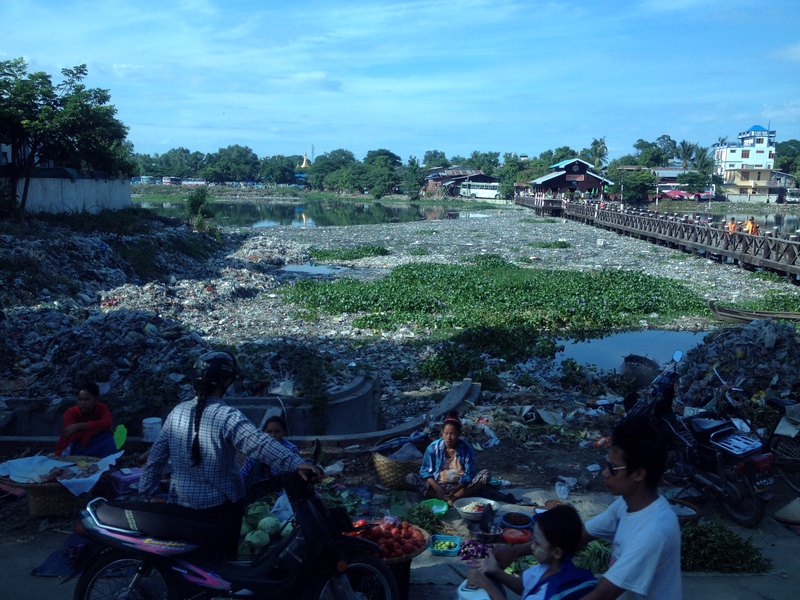 One of the things that struck me early on the trip was the amount of trash lining the streets, particularly in and along the banks of waterways. What seemed to me like an ocean of food debris, plastic water bottles, soda cans and more covered many roadsides, empty lots and rivers. Football fields of trash floated along the top of the water near the shore while the locals simply ignored this and carried on with their daily lives. As our boat pulled into the makeshift dock at the end of our tour, piles of litter and debris scattered to make way. While staring at the mess I noticed, just to the left of our landing area, a family leaving their hut for a bath in the river. When bathing in the river, men and women wear a longyi (traditional Burmese clothing that is basically a large piece of fabric turned into a wrap skirt). They are a very modest culture, so while bathing, nothing is visible, other than that not typically covered by clothing. I don’t have a picture because it is considered inappropriate to photograph a person who is bathing (obviously), but on occasion this can be harder than you may expect, which is perhaps why the Myanmar Ministry of Hotels and Tourism included a reminder in this guide for tourists. One of the women in the bathing group waded into the muddy water rather enthusiastically, smiling and waving vigorously to our boat, welcoming us back to shore. She splashed and waved and waved and splashed with one of the broadest, most genuine smiles I have ever seen, showing no concern for the dark brown of the water or the layers of trash surrounding her bathing area. Many of us did a double take as she brushed her teeth, using the river as a water source. I will always remember her kind eyes, her genuine smile and her contentment. We often forget just how much we have to be thankful for – this woman reminded me that joy doesn’t come from things. Even though she and I never spoke, we built a thousand bridges between a simple smile and a wave. It is so rewarding when hard work pays off. I am excited to announce that the lesson plans from the 2015 Monuments of Rome in English Culture NEH Summer Teacher Institute have been posted to the institute website. If you are looking for ways to connect Rome to pretty much any part of your curriculum (at any age level) you will find it here. As we conclude the Labor Day holiday, and now that the 2016-2017 school year is in full swing, I find myself longing for Rome… the daily gelato, the amazing architecture, and the slower paced way of life. I am looking forward to taking a “walk” through the forum with my students as we complete the Monumental Literacy lesson I designed during the institute. Check out the introductory video – I am SO impressed by the collective work of the team to produce such a high quality classroom tool for the lesson. I am looking forward to remembering Rome as my students complete the lesson this November. It is also an excellent motivation as I plan my 2017 Summer professional development. Where will the 2016-2017 school year take you?